We have assembled a list of colleges and universities that have been found to have the most sustainable, environmentally friendly schools. These school practice and adhere to the principles of being green through the following means: sourcing food that is local and organic, promoting mass transit & bike sharing programs, achieving high LEED ratings, offering sustainability-focused degrees or programs, employing a sustainability officer (or equivalent), deriving a substantial percentage of energy from renewable resources, and adhering to a formal plan to mitigate greenhouse gas emissions. Below you will find a list of the top ranked colleges offering degree programs in sustainability and sustainability studies. Colleges and universities on the list range in size and type from coast to coast. Specifically, an accredited college offering green degrees can be a small, private university in a rural town or a large, public institution residing in a major metro area. In either case, check out the list of schools below to better understand your options for top-tier sustainable studies degree experience. The Bureau of Labor Statistics (BLS) recently published a report on the growing importance of green careers and occupations with an emphasis on sustainability (albeit economic, social, or environmental). Based on the information in the report, the green sector will continue to gain momentum as the need for qualified professionals is met with a burgeoning sector of the economy. Defense: In a recent talk, the United States National Security Strategy committee declared climate change as an “urgent and growing threat to our national security, contributing to the increased natural disasters, refugee flows, and conflicts over basic resources like food and water.” The need could not be more clear and the budget to help us better understand and mitigate climate change continues to swell accordingly. Water Consumption: Green civil engineers and environmental engineers focus on ways to utilize water more efficiently, mitigate pollution, decrease carbon output, recycling, and a variety of public health issues. Poverty: In spite of global poverty being on the decline in recent years, the need to continue to improve the way we use resources is quite apparent. A focus on sustainability and prosperity will continue to be a mantra for those looking to improve the world through a green lens. Health: The World Health Organization (WHO) has assembled directives and resources to end world hunger by 2030 visa vi a sustainable and nutritional security initiative. The global targets and tracking tool can be found here and will be an ongoing emphasis for world leaders and academic stewards in the decades to come. Energy: The price of oil, natural gas, coal and other nonrenewable energy sources continues to be quite volatile. 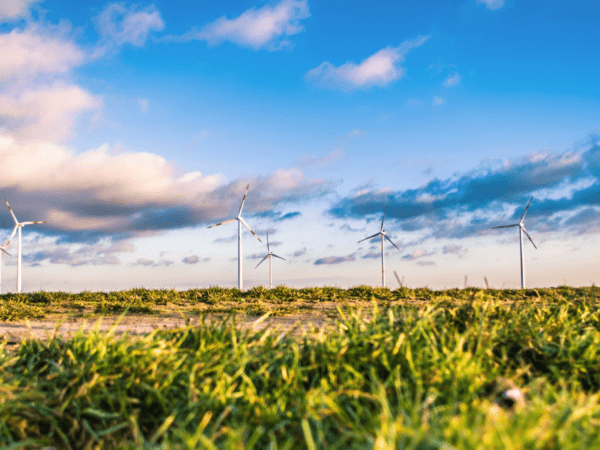 Experts widely agree prices for nonrenewable energy will continue to climb due to the limited energy sources coupled with rising demand around the globe. That being said, the emphasis shifts to renewable energy sources like wind, solar, and biofuels (ie. corn, algae, soy) to make up large pieces of our energy in the near future. Atmospheric: The Environmental Protection Agency (EPA) was recently granted authority to regulate greenhouse emissions and many states have enacted legislation to reduce carbon output significantly. With this type of national emphasis, the career outlook for an atmospheric, conservation, environmental, and microbiologist engineers & scientists will be a large part of this movement. Business: Sustainable managers can come from all walks of life and have a broad range of duties in the green sector. In short, sustainable managers are charged with the responsibility to craft and implement a company’s sustainability program(s). They may also be directly responsible to maintain strict compliance with environmental, safety, and/or health regulations. Job titles may range from chief executive to operations manager to industrial production manager to name a few. Sustainable Agriculture: Organic Farmer, Food Scientist, Agroecologist, Sustainable Food Systems Manager, Farming Manager. Environmental Health Science: Industrial Hygienist, Environmental Health Specialist, Environmental Epidemiologist, Field Scientist, Air Quality Specialist, Director of Waste Management, Water Resource Engineer. Environmental Architecture & Environmental Design: Green Architect, Urban Designer, Landscape Designer, Environmental Design, Urban Planning. Horticulture: Vineyard Manager, Plant Scientist, Horticulture Therapist, Landscape Design, Landscape Construction, Horticulture Consultant, Pest Manager. Wildlife Ecology: Wildlife Veterinarian, Wildlife Biologist, Park Ranger, Conservation Scientist, Forester, Food Scientist, Biochemist. Environmental Engineering: Engineering Technician, Hydrologist, Environmental Engineering Technician, Engineering Manager, Environmental Sales Engineer. Marine Science: Ocean Engineer, Marine Biologist, Fisheries Management, Oceanography, Zoologist, Limnologist, Marine Lawyer. Renewable Energy: Geologist, Civil Engineer, Materials Scientist, Environmental Engineer, Industrial Engineer. While not everyone will take the same path to arrive at any of the aforementioned careers, it is worth noting the opportunities for growth seem to be growing by the day. Take a moment to research a field or two of interest as this amazing field continues to evolve. The AASHE is a non-profit that strives to both “inspire and catalyze higher education to lead the global sustainability transformation”. The site has a number of resources for green students and educators in an effort to inform anyone on the greater sustainability. Business for Social Responsibility (BSR) The Business for Social Responsibility is also a non-profit organization promoting social responsibility for businesses, at large. The BSR organization collaborates with nearly 300 businesses to help develop sustainable strategies and solutions. Clean Edge is an advisory and research firm created to be both a steward and thought leader in the green energy space. They provide information on benchmark reports along with stock indices for clean energy and renewable energy. The clean tech leadership index is an interesting read. The Green Job Network is a comprehensive job board with thousands of jobs listed within the green industry for job seekers and job movers. Grist is a broad-based news website that focuses on environmental news from local to national stories that impact everyone. Idealist is a portal for people to connect and improve the world in which we live. The opportunities range from volunteering to permanent, full-time jobs on the portal. Jobs and upcoming events are also posted on the website. The website Solar Today is an expansive resource for all things solar. The vast amount of information from new products to legislation changes is available and regularly updated. The Treehugger site was created to help bring sustainability into the mainstream and acts as a hub for all things green.